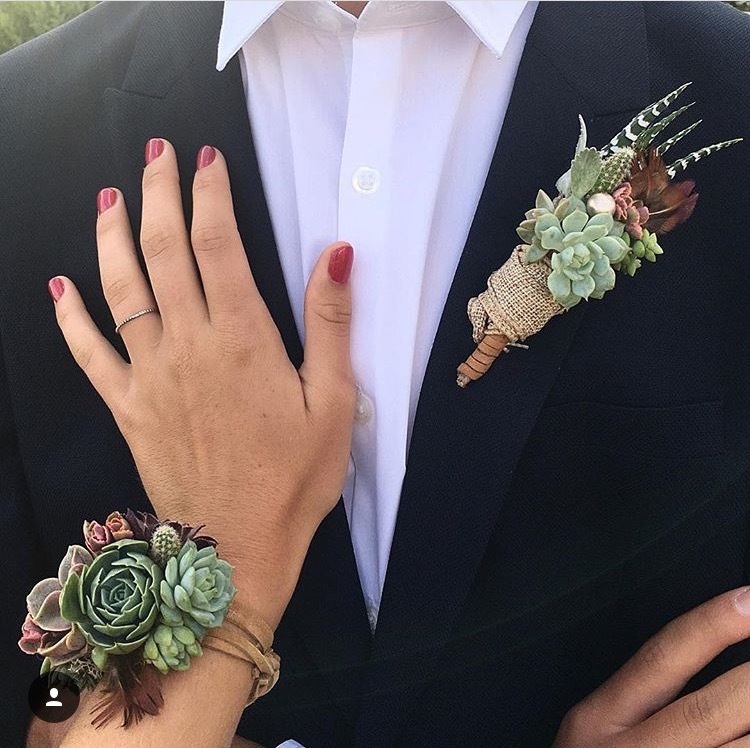 House of Sunshine 'Wearables' are live succulent accessories such as: headbands, cuffs, corsages and boutonnieres made to order fresh for your special event. 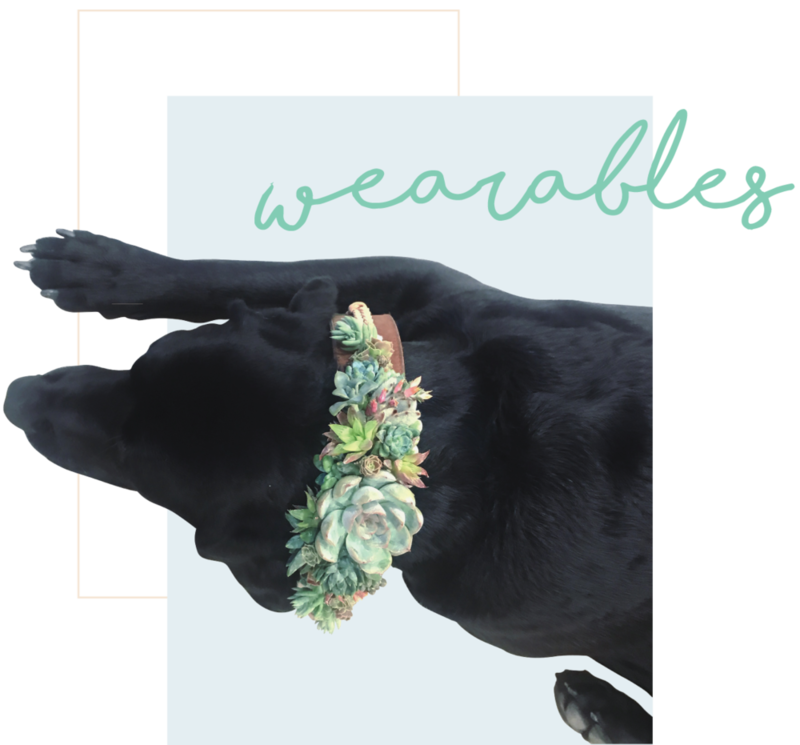 We have wearables for all your special events. 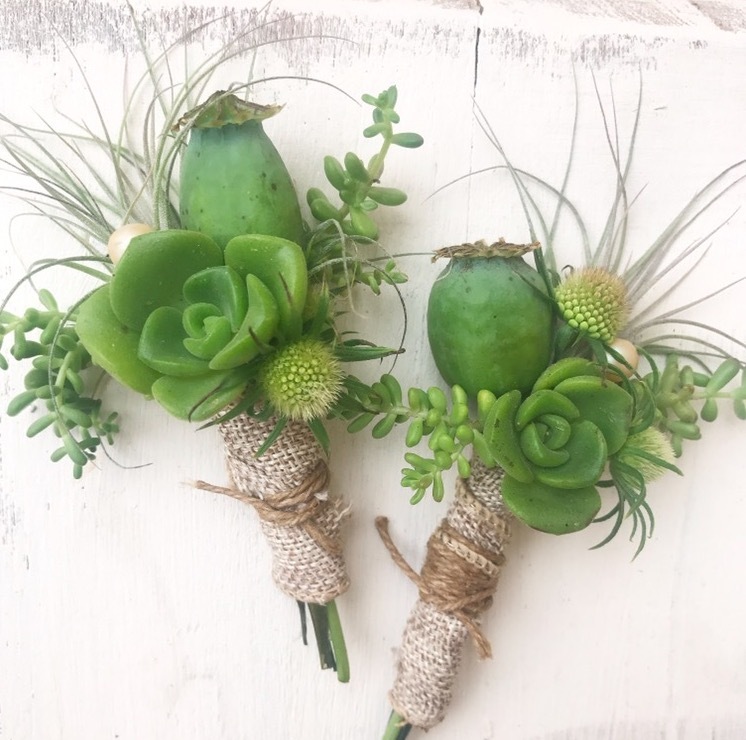 Our clients have enjoyed these custom crafted one-of-a kind accessories for many events such as their wedding day, engagement or special family photos, school dances, baby showers, festival wear or just because! These unique accessories will continue to live well after your event! 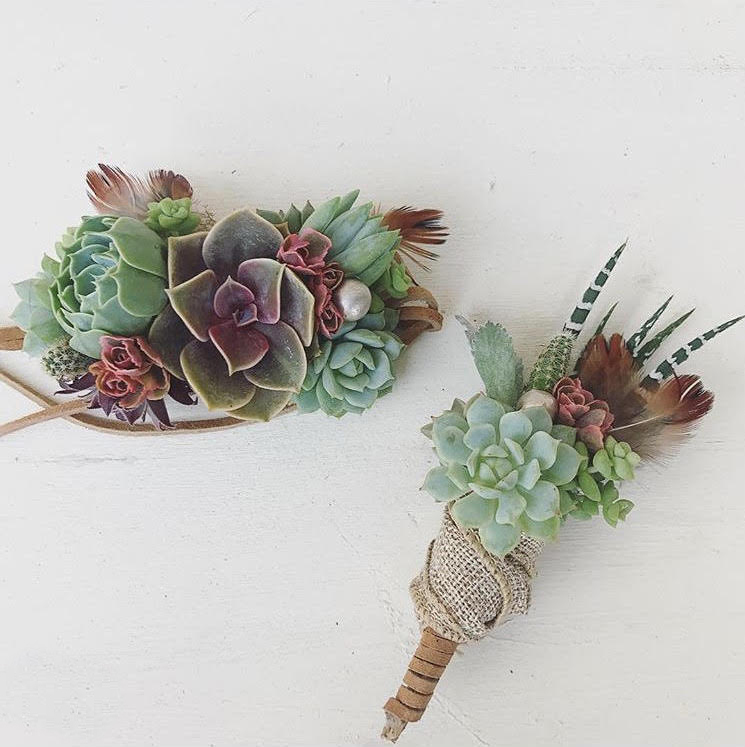 Once you notice your succulent wearable start to wither, you may gently remove and plant in your garden. *See instruction card for aftercare.